BIZ T-SHIRTS - The correct uniform for The Biz is the Biz BLACK T-shirt (from registration or one from a Biz summer production) and black/dark track suit bottoms or leggings. The cost of a replacement T-shirt is £10 (cash or cheque payable to E Vincent). Please be aware that jeans are not acceptable for dancing and proper footwear (NON-MARKING CLEAN jazz shoes or trainers) must be worn for the student’s safety and to protect the floor. Our Saturday school is based at new state of the art Performing Arts facilities conveniently located between Woking and Guildford. 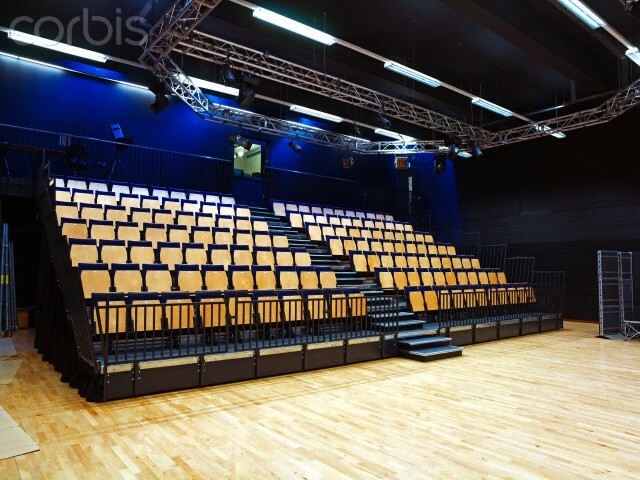 Facilities include a fantastic dance studio with high ceilings, mirrors and sprung dance floor as well as a new 140 seat theatre where our end of term showcases will be held for family and friends to watch. All classes take place in a secure area. Past Slyfield Industrial Estate on left. Over mini roundabout. At next roundabout (petrol station) take the 3rd exit (right) into Stoughton Road. Go up Stoughton Road, at the roundabout turn right into Larch Avenue. Lots of parking outside. Classes, held on Saturday afternoons during term time. More branches opening soon! Please check back for details.